SpaceX can confirm that in preparation for today's static fire, there was an anomaly on the pad resulting in the loss of the vehicle and its payload. Per standard procedure, the pad was clear and there were no injuries. Facebook, in partnership with Eutelsat Communications, had been due to use the Amos-6 satellite to deliver broadband internet coverage for swathes of sub-Saharan Africa as part of its Internet.org initiative. "We remain committed to our mission of connecting everyone, and we will keep working until everyone has the opportunities this satellite would have provided," he wrote on his Facebook account. A leading Israeli space official said the loss of the Amos-6 satellite, valued at more than $200m (£150m) and owned by Spacecom, was a major blow to the industry. "As far as the Israeli communications satellite industry is concerned, this is a very severe blow which could place the future of the industry in doubt if it is not dragged out of the mud," said the chairman of the Israel Space Agency, Isaac Ben-Israel. 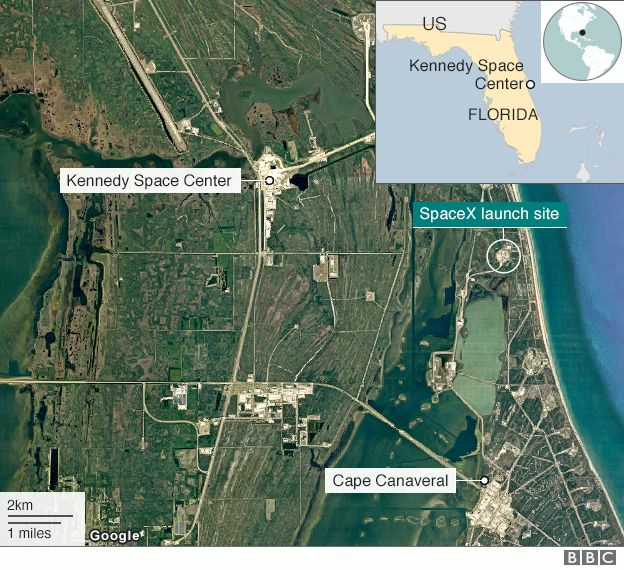 Cape Canaveral Air Force Station said a "significant" explosion had happened just after 09:00 (14:00 GMT) at Launch Complex 40, which is leased by SpaceX. 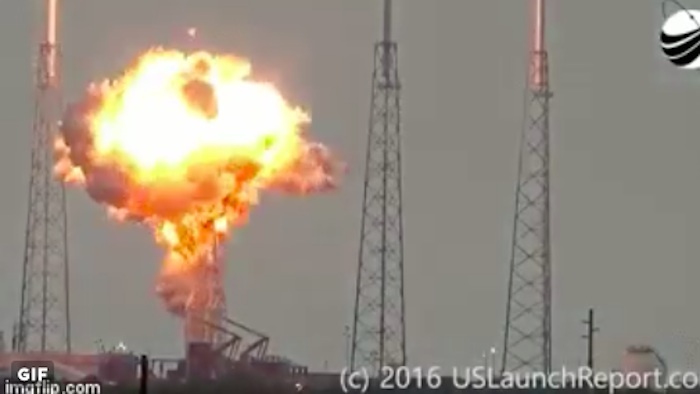 SpaceX said in a statement: "The anomaly originated around the upper stage oxygen tanks and occurred during propellant loading of the vehicle. "As per standard operating procedure, all personnel were clear of the pad and no-one was injured. We are continuing to review the data to identify the root cause." SpaceX is aiming to create a new era of reusable rockets and affordable private space travel and has used its Falcon-9 rocket to take supplies to the International Space Station (ISS). In December last year, the California-based company successfully landed a Falcon-9 back on Earth after a mission to launch orbiting satellites - a first in rocketry. SpaceX is run out of Hawthorne near Los Angeles by Elon Musk, who made his fortune with internet companies. As well as being tQuelle: BBChe rocket company's CEO, he also heads up the Tesla electric car company. Whatever the details of what went wrong at the launch-pad, this is bad news for one of the most ambitious-ever space programmes. SpaceX has big dreams for cheap, frequent and distant space travel. This test-firing was meant to be routine, part of an accelerating series of launches. 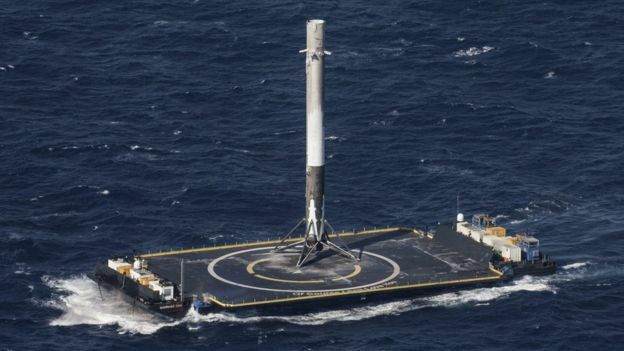 Beyond it, SpaceX is looking to make history by re-using one of the massive first stages that was returned to Earth intact. The company is also preparing to fly astronauts to the International Space Station. Most exotic of all, the company's boss, Elon Musk, is due later this month to unveil his plans for a Mars colony, and how that would take effect. A SpaceX rocket exploded on the launch pad at the air force station in Cape Canaveral, Florida, on Thursday morning, as it prepared to carry a communications satellite into space this weekend. The satellite was intended to be used by Facebook, as part of its effort to extend internet access in Africa. Facebook’s founder and chief executive, Mark Zuckerberg, said in a statement he was “deeply disappointed” by the news. 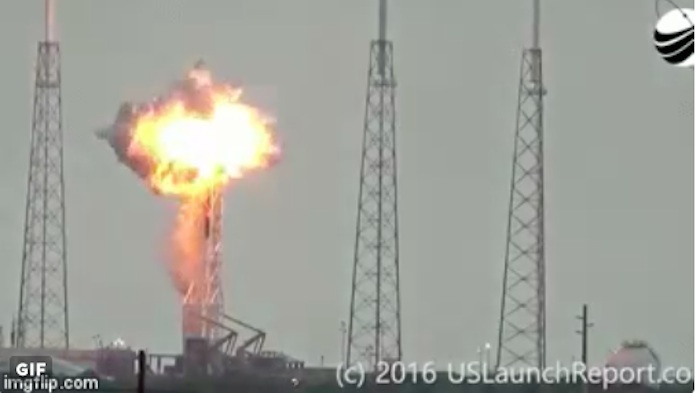 A little over a year ago, an unmanned SpaceX rocket carrying supplies to the International Space Station exploded shortly after take-off. In a statement issued later on Thursday, US space agency Nasa expressed its confidence in SpaceX as a commercial partner and said the new explosion was “a reminder that spaceflight is an incredible challenge”. 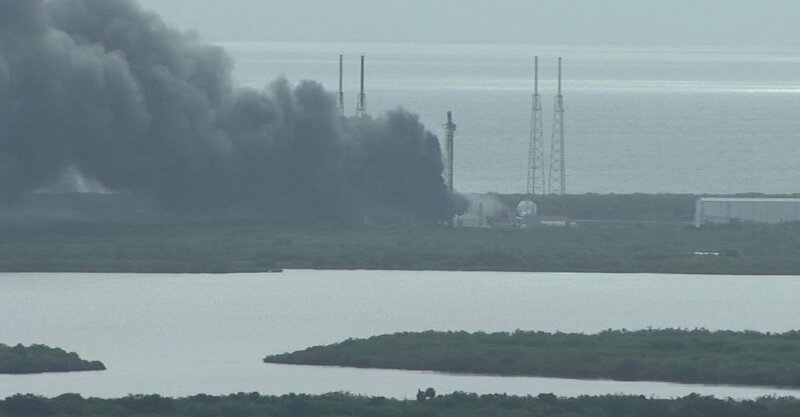 The Nasa statement said the rocket and spacecraft for its next scheduled launch with SpaceX, Osiris-Rex, were “healthy and secure” at a launch site a mile away from the site of the explosion. That mission, to retrieve samples from an asteroid, is due to launch on 8 September. After Thursday’s blast a huge plume of smoke billowed from the site. Reports claimed the explosion lasted several minutes, destroying the vehicle and shaking buildings for several miles around. The sirens of emergency vehicles could be heard approaching the area. 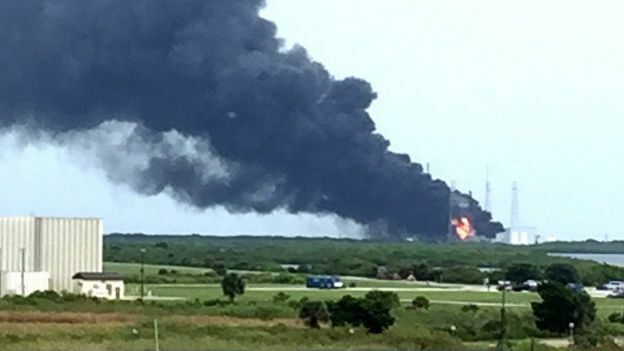 Initial reports suggested there were no injuries and the private aerospace company’s unmanned Falcon 9 rocket exploded due to a problem with the launch pad, rather than with the rocket itself, during routine engine testing ahead of the planned lift-off on Saturday overnight. Images quickly emerged on social media showing the site of the incident issuing thick clouds of dark smoke and lit up with flames. Smoke continued to swirl into an overcast sky more than an hour after the reported explosion as witnesses in the area gave accounts of feeling a shock wave. The SpaceX launch was scheduled to carry an Israeli communications satellite into orbit, with Facebook using some of the satellite’s capacity. It would have been Facebook’s first such launch, as part of Zuckerberg’s attempt to provide internet access to some 14 countries in sub-Saharan Africa that are currently poorly connected. 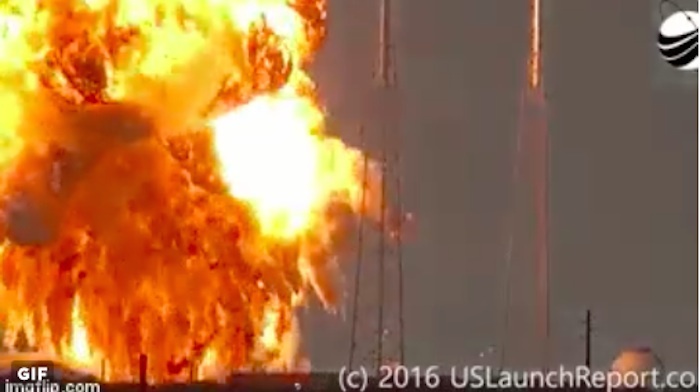 About 90 minutes after the explosion, with images and reports widespread on television and online but no official word on its cause, SpaceX issued a statementvia Twitter. Both the rocket and the satellite it was carrying had been destroyed, it said. Zuckerberg later confirmed in a Facebook post that the satellite had been wrecked. He announced last year that Facebook planned to provide internet access via orbiting satellite to at least 14 sub-Saharan African countries. In his post on Thursday he said he was in Africa, although he did not give a specific location. The SpaceX Falcon 9 rocket was being used to launch the Amos-6 communications satellite for the Israeli company Spacecom. In October 2015, Facebook and the French satellite communications company Eutelsat announced a $95m agreement to lease broadband capacity on the satellite. According to the website Spacenews.com, at the time, Spacecom, Eutelsat and Facebook reported plans to secure insurance policies to cover risk linked to the satellite project. SpaceX is the commonly used name for Space Exploration Technologies Corporation, a California-based private aerospace enterprise founded by Elon Musk, chief of Tesla Motors and former PayPal entrepreneur. The company has succeeded in landing several spent rockets at Cape Canaveral and on a barge in the ocean, although some of the attempts at barge-landings have ended in failure and the explosion on the mission to the International Space Station last year created unwelcome headlines. The unmanned SpaceX Falcon 9 rocket exploded during a test in Florida on Thursday, destroying the Israeli-built and -owned Amos-6 satellite that Facebook planned to use to beam high-speed internet to sub-Saharan Africa. Dramatic footage broadcast by ABC News showed the rocket burst into a ball of flame amid what appeared to be a succession of blasts — sending its payload tumbling to the ground as a dense plume of black smoke filled the air. ISA chairman Yitzchak Ben-Yisrael said the blast’s shock waves could reverberate far beyond Cape Canaveral. He said the incident could jeopardize a pending deal for the sale of private Israeli firm and Amos-operator Spacecom to China’s Xinwei group, reportedly worth $285 million and conditional on the satellite successfully entering service. “This is the second blow, ahead of the Chinese deal,” he said, recalling the blackout of the Amos-5 satellite, which like Amos-6 was owned and operated by Spacecom. Communication with the Franco-Italian made Amos-5 was lost in November 2015, four years after it was launched from Kazakhstan. “There is a major question about the launch and I very much hope that Spacecom is strong enough to overcome these things and to order a new satellite,” Ben-Yisrael told Israeli radio. Israeli business paper Globes said Thursday that the loss of the Amos-6 could directly impact on Spacecom stock, which tumbled by almost 9% in the wake of the Cape Canaveral explosion. There are, Globes said, concerns that the share price will fall further. David Zusiman, former project manager for the Amos-3 and 4 satellite projects and involved with the early stages of the Amos-6, said the explosion was a setback but not necessarily a disaster. “Amos-6 can be replaced by an identical satellite which it will be possible to order immediately, thanks to the insurance money they will get,” he said in an interview on public radio. The Amos-6 has an estimated value of between $200 million and $300 million, according to John Logsdon, former director of the Space Policy Institute at George Washington University. “The problem is that Amos-6 was supposed to replace Amos-2 which is now quite old and needs replacing,” Zusiman said. 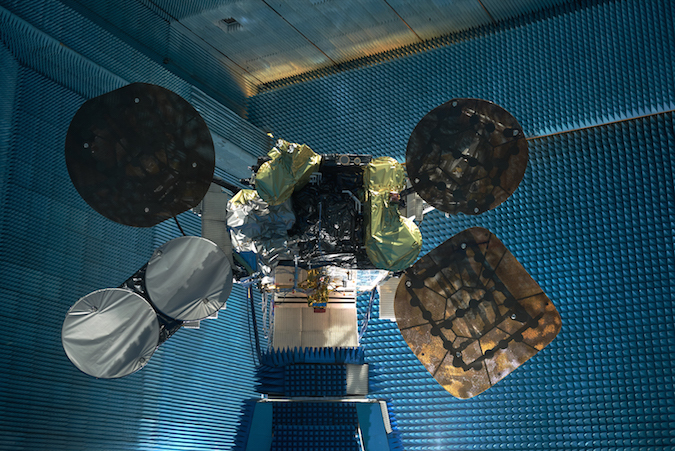 Channel 2 said Thursday that the destruction of the Amos-6 could adversely impact on Israeli subscribers to the Yes satellite company, which relies on the Amos-2 and 3 satellites to broadcast. The destroyed satellite was supposed to replace the Amos-2, which went into orbit in 2003. Now reliant on just one satellite, at least in the short term, the company could face a breakdown in transmissions if there are any technical difficulties with the Amos-3. In any event, Yes could be forced to reduce the number of channels it offers, but says it will not remove popular channels, Channel 2 reported. David Zusiman also cast doubt on any adverse impact for Israel’s space projects, highlighting IAI’s “100 percent” success rate with its launched satellites.